The friendly staff at North Shore Gastroenterology welcomes your call and looks forward to serving you. If you have any questions about our GI services, please call our office at (440) 808-1212. To schedule an appointment, you can call us or use our secure online appointment request form. North Shore Gastroenterology & Endoscopy Centers has two locations to serve you. These facilities are located near our affiliated medical centers and major highways to provide convenient access to the services you require. In the event of a life-threatening medical emergency, call emergency medical services at 911 immediately. DO NOT WAIT! Inform the emergency room staff that you are a patient of North Shore Gastroenterology and they will contact us. If you have an urgent medical need and need to talk to our doctors after our regular hours, please call our office at (440) 808-1212. A doctor is on-call 24 hours a day. Your call will be returned promptly. 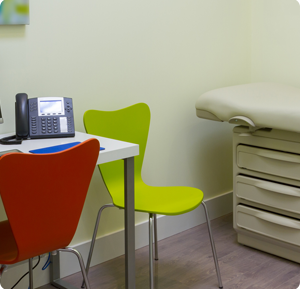 At North Shore Gastroenterology we accept Medicare, Medicaid, and most major insurance plans. Please contact your insurance company or you may call our office at (440) 808-1212 to find out if we accept your plan. If you have a question related to your bill or insurance, please contact our billing specialists at (440) 808-1212. Prescriptions and refills for established patients of North Shore Gastroenterology are routinely issued during our regular office hours (see above). You can make your request by calling our office at (440) 808-1212.